Credit ratings agency Moody's Investors Service late Friday said it was putting Belgium on notice for a possible downgrade. Credit rating agency Moody's Investors Service late Friday said it was putting Belgium on notice for a possible downgrade. The announcement came after markets closed and was the latest of three from either Moody's or rival Fitch Ratings during the day focusing attention on Europe's debt and banking crisis. Moody's announcement meant the ratings on Belgium's government bonds could be downgraded within the next three months from its high rating of Aa1. Moody's cited Belgium’s high debt levels, the growing reluctance of European banks to lend to each other and slowing economic growth. It also expressed concern about uncertainty over how much the Belgian government might be on the hook for its share of the rescue package for Franco-Belgian bank Dexia. 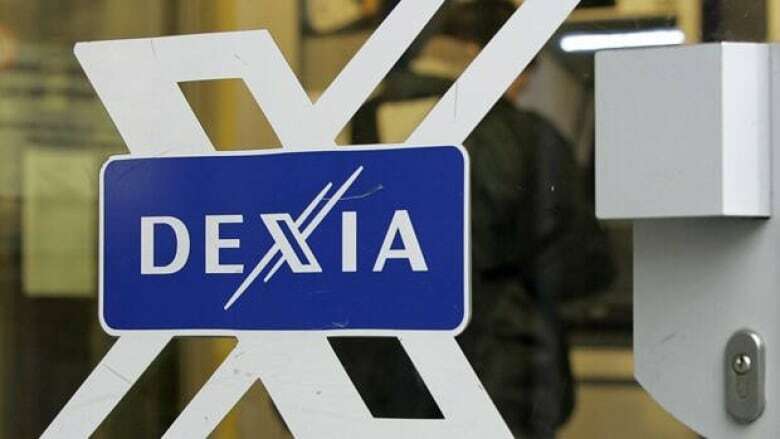 Earlier Friday, both the Wall Street Journal and the Financial Times reported that officials of the French and Belgian governments would meet over the weekend to discuss Dexia's fate. The bank carries a large number of Greek government loans on its balance sheet. Earlier in the day, Fitch Ratings on Friday downgraded the credit ratings of bonds issued by Italy and Spain. It lowered Spain to AA- from AA+ and Italy from AA- to A+ and said its long-term outlook for both countries was negative. Fitch based its decision on the growing debt crisis in Europe and deteriorating prospects for getting deficits under control. While saying Italy's recent austerity measures improved its standing, "the initially hesitant response by the Italian government to the spread of contagion has also eroded market confidence in its capacity to effectively navigate Italy through the eurozone crisis," Fitch said. Separately, Fitch also said it was keeping Portugal's debt rating on watch for a possible downgrade, with a decision due by the end of the year. Portugal was the third and latest eurozone country to receive an international bailout package after Greece and Ireland. Earlier Friday, another credit-rating agency, Moody's Investors Service, downgraded a dozen British and nine Portuguese banks Friday, for different reasons. Moody's expressed doubts about the strength of government support for the British banks, saying it believed it is more likely that smaller institutions would be allowed to fail. In the case of the Portuguese banks, it cited concerns about growing reluctance among banks to lend to each other, bad loans and their holdings of Portuguese government debt. Among the downgrades, Moody's reduced its rating on government-controlled Royal Bank of Scotland PLC by two notches to A2. It also cut its rating on Lloyds TSB Bank, a unit of part-nationalized Lloyds Banking Group PLC, by one notch to A1. On Thursday, signs of a slowing economy prompted the Bank of England to launch a £75 billion ($120 billon) monetary stimulus. At the same time, the European Central Bank said it would offer credits to banks, with an unusually long duration of up to 13 months, to give lenders a chance to shore up their finances through early 2013. German Chancellor Angela Merkel said Europe's banks should look first to raise money in the private sector before turning to governments to bolster their financial cushions against potential losses from the Continent's sovereign debt crisis. Merkel said banks should first try to raise money on their own and if that was unsuccessful, they should be bailed out by the national government. Only if that was impossible, "and only then," she said, should a European bailout fund be used, and only with tough strings attached. The International Monetary Fund, a key player in the 17-nation eurozone's debt crisis, has said banks across the Continent might need up to €200 billion ($280 billion) in new capital.